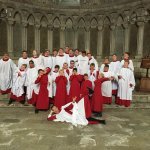 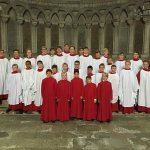 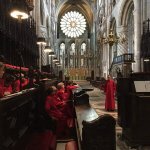 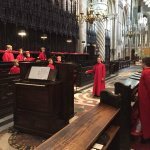 Durham Cathedral reverberated with the harmonious voices of the Bedford School Chapel Choir in August as they took up their residency. 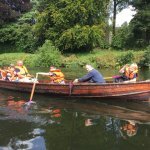 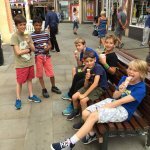 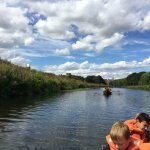 In between daily services at the inspiring cathedral, the 30 boys had plenty of time to explore the city, enjoy a row along the river and take a trip to the Beamish Living Museum. 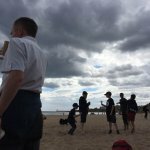 They even managed to squeeze a trip to Tynemouth to enjoy a day on the beach. 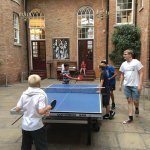 However, the drinks reception at St Chad’s College following Evensong on 9 August, which brought together boys, staff, families and several generations of Old Bedfordians, must go down as one of the highlights of the trip. 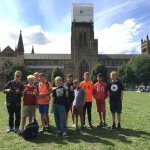 It is always heartening to see so many members of the school community come together to support the boys, this time in the beautiful city of Durham.